Common Troubleshooting for Lumia WP8.0 & WP8.1 Series Direct Unlock by USB Cable. If you are getting trouble while unlocking by Nokia Lumia WP8.0 & WP8.1 Series Direct Unlock by USB Cable service, please follow the guidelines below. There are different versions Wp8Client. so you should try a different version of the latest version of Wp8Client with unsuccessful. *Make sure, your data cable is good or try to use another good quality data cable. * Make sure your phone driver installed properly. * Make sure your Desktop/Laptop Windows Firewall is Turn OFF or you may try to Turn On if Turn OFF (For making sure if any conflict with windows firewall). * Make sure No Space before/after while entering the Unlock KEY. * Make sure your phone is listed support models. *Make Sure your ISP connection is directly connected to your Desktop/Laptop. If above guidelines applied and still getting an error, please try to follow the additional guidelines below. 1st. Try to Hard Reset of your phone. 2nd. Try to flash your phone with a different version of firmware of the same model (We recommended, better also change product code). 3rd. Try to unlock by another Desktop/Laptop (We recommended, make sure another Desktop/Laptop installed with different version of windows operating system). If above guidelines applied properly and finally unlock unsuccessfully, please click the Verify button from order history for further verification. How Do I Know Infinity Box/Dongle Serial Number? How do I know my Apple Devices Carrier Information? Here is explanation about Apple Devices Carrier Identification examples and guidelines. Please follow the table below, there are some examples mentioned & follow the target and Unlockable Carrier tab. The Next Tether value is your apple device carrier. Below reports generated by GSX Service, you can find the GSX services located at IMEI Information / Carrier Checker. How to enter my unlock code on LG Electronics? 4. Select the option ï¿½unlock USIMï¿½. 7. Handset should now display ï¿½network unlock successï¿½. How to enter my unlock code on Nokia? How to enter my unlock code on Samsung? 4. You will also be presented with the options "OK"; "Dismiss"
6. Virtual keyboard appears on screen (the "Enter PIN" prompt may or may not appear). 2. Then insert a sim card that is from another network that your phone is not locked to. 5. At this time a white screen will appear which says "exit"
7. From the menu that appears scroll down to the malloc Fail option, this will reboot, and normal service screen will appear. 8. Then type *0141# and press the green call key, Personalized will appear on the screen, and the name of the current sim card provider will appear on the screen. 11. Then enter 00000000 (eight zeros), the message will come up sim lock disabled with a check mark, your phone is now unlocked to use with other carriers. How to HUA Dongle Software Activation for Infinity-Box/Dongle? 2. Run Hua-Dongle software and follow final activation instruction. How to Octoplus LG Lite to Full Upgrade? Connect Octoplus box/dongle to PC. Open a folder where Octoplus Box LG software has been installed. Open a file: updater.exe (inside Octoplus Box LG software folder). Choose "I have the activation string" and press "Next". Complete update procedure with activation code that you've received > Finished. Activation Instruction: Once Your iTunes Gift Card is already activated and ready for spending. Download iTunes for Mac or Windows. To change your store location, start the iTunes program and select the iTunes store, scroll down to the bottom of the page and select the My Store drop down box and choose United States. 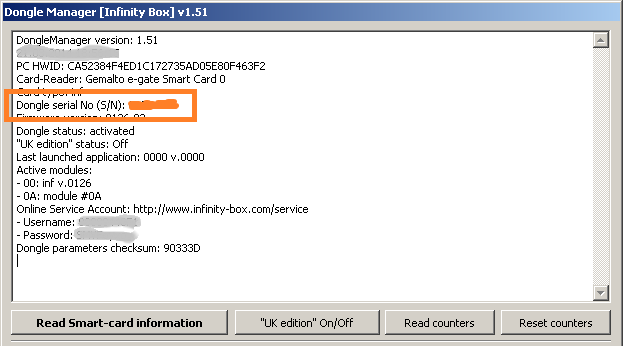 How to Software Activation for Infinity-Box/Dongle? 2. Run new software and follow instruction. 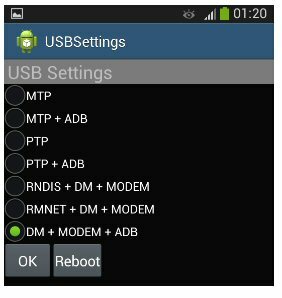 How to unlock Samsung android phones via DT Client? Samsung DT Client is 1 click unlocking tools. You MUST use COM port cable, No root, no patch, all Firmware Version supported. 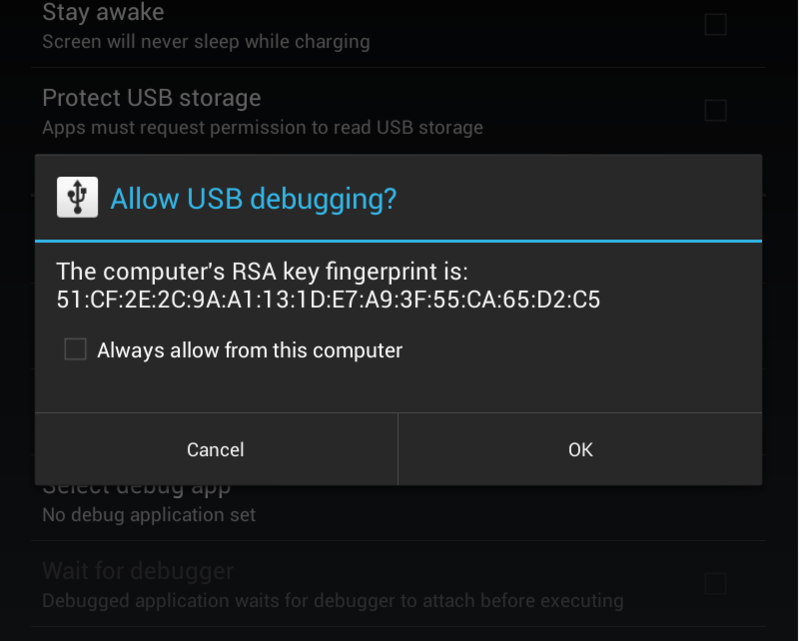 5) Now login your DT Samsung client tools & select "USB Adb"
7) Now your will appear 2 Popup in home screen for allowing. Notice: SPRINT and VERIZON phones are CDMA which are not supported. How to Updates/Support Renew for Infinity-Box/Dongle? 2. You will be able to use software updates and access Support Area in several hours. Please note that there is available UNLIMITED servicing procedures activation for Sony Ericsson mobiles! It will cost you 400 Octoplus Server credits. If you do not need one you can still unlock Sony Ericsson mobiles but for a lower price, because we've reduced Sony Ericsson unlock price to 40 credits for Octoplus card owners! Q.8: I have a phone with installed application "Device Unlock App" (T-Mobile, MetroPCS and AT&T) and I would like to unlock it using Octopus server credits. A.8: Phones with that application, from stated operators, cannot be unlocked using this method. In case if you already sent a request to unlock, spent credits cannot be returned back on your account. Note: If you want the credits to be added to the existing account, please enter information of your account in the note section, while placing an order. Please note that Repair IMEI / Unlock procedures won't work for phones which were manufactured after 12W10 (12W11, 12W12, 12W13 and later) (phones with so-called new security). Octopus Server Credits are meant for Modems, Alcatel, BlackBerry, HTC, Huawei, iPhone, Sony Ericsson, Sony, Samsung, Sky, ZTE cell phones servicing with Octopus Box or without it. Octopus Server Credits consumption can be viewed in the table below. Please note that there is available UNLIMITED servicing procedures activation for Sony Ericsson mobiles! It will cost you 400 Octopus Server credits. If you do not need one you can still unlock Sony Ericsson mobiles but for a lower price, because we've reduced Sony Ericsson unlock price to 40 credits for Octopus card owners! If you'd like to purchase Octopus Credits for already existing account, please specify it in "Customer's notes" field while ordering the item or contact your sales manager. Otherwise, automated system will create a new account for Octopus Credits. What does it mean by Generic Code? The Generic Code service is a remote unlock service? Absolutely No. The Generic Code related service will be provided you the Generic code that called unlock code. What are the examples of the Generic Code? The generic code looks like examples below.